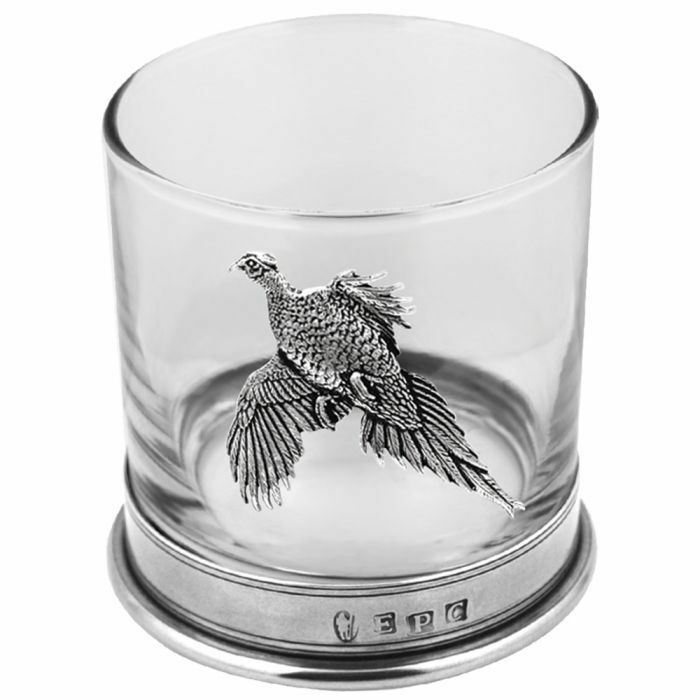 Traditional gifts made to the highest possible standards of craftsmanship and enhanced by modern design ideas are what English Pewter Company are proud to present to our customers, and this stunning 11 ounce Single Pheasant Tumbler is a great example. The elegant 9cm glass tumbler is accented beautifully by a stylish pewter base which lifts the appearance of the tumbler itself and will not tarnish over time. 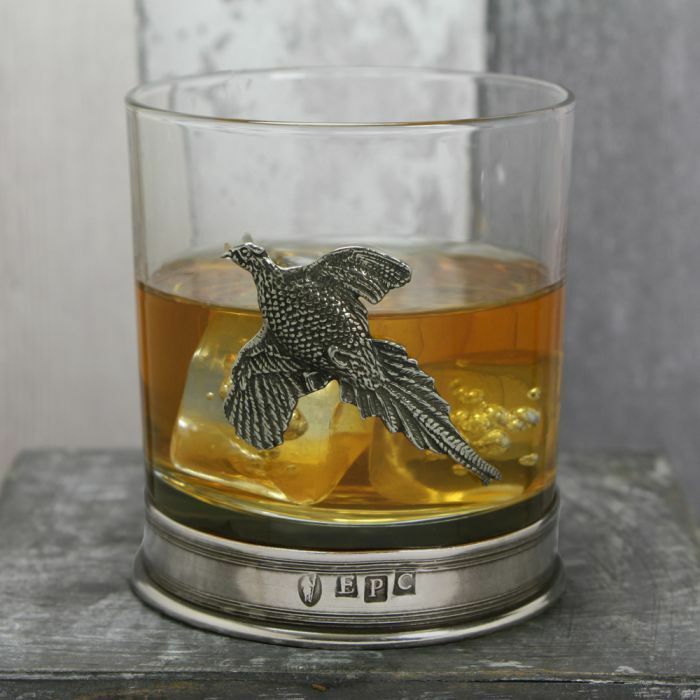 What gives this glass that bit extra though, is the wonderfully intricate and lovingly crafted pewter pheasant which adorns one side. 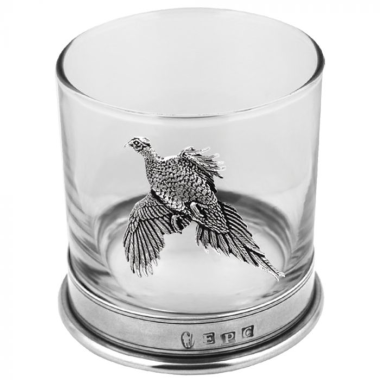 An ideal gift for that loved one who enjoys the odd tipple and has an eye for style, the Single Pheasant Tumbler is provided with its own cream and black English Pewter Company presentation box.